Chapman’s debut is a tour-de-force of a world where everyone is born knowing someone else is out there training to kill them from birth. West’s self-doubt fills her every action and opens up avenues into this complex character that any teen will relate to. 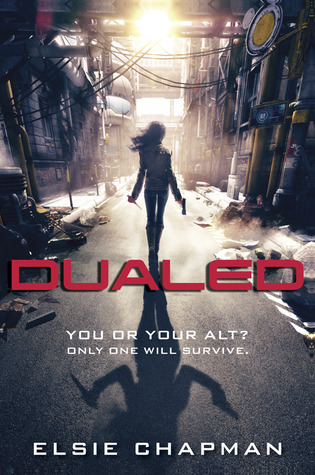 DUALED is available from Random House Books for Young Readers. Love this post. Librarian Book Talk–what a great idea. Also, DUALED rules.